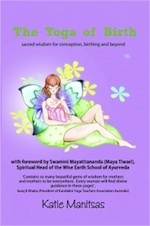 The must read new book for mums and mums to be everywhere! Renowned yoga teacher Katie Manitsas has always been a trail blazer and she brings a lifetime of creativity and insights to her new book ‘The Yoga of Birth’ which details how the ancient practices of yoga can help women during and after child birth. Well known for her ability to explain postures and yoga concepts in a clear, fun and simple way, Jivamukti teacher Sarah Trestrail has designed these series of 7 classes that give you a clear understanding of the basic yoga concepts and poses, while you enjoy a well-rounded all-over-body routine. Explore the wonders of Kundalini Yoga with experienced teacher Siri Gopal Kaur (Mandy Farmer). This practice is called "Awakening to your 10 Bodies" and will support you to clean and rebalance all of our bodies to leave you feeling refreshed and revitalised. Core Strength and Sacral Stability: In this routine, Ana Davis focuses on developing your core strength and sacral stability. The practice also works on strengthening your legs & thighs, and releasing your outer hips. The intensity will be medium to energetic. Cleanse and balance your body in the final beginners class from experienced Kundalini Yoga teacher Siri Gopal Kaur (Mandy Farmer). This practice is called "Pituitary Gland Series" and is designed to cleanse and balance the pituitary gland, which is known as the ‘Master Gland’ as it controls the entire glandular system which includes the thyroid, parathyroids, adrenals, pancreas and reproductive glands. Core Stability: In this class specialist pre-natal yoga teacher - Ana Davis focuses on developing your core stability, arm strength, releasing of hip and shoulders. Explore Adho Mukha Svanasana (Downward-Facing Dog Pose) and the basic standing postures. This class offers a complete well-rounded practice led by Sarah Trestrail. The theme for this class is Santosha (Contentment). Explore the wonders of Kundalini Yoga with experienced teacher Siri Gopal Kaur (Mandy Farmer). This practice is called "Surya (Sun) Kriya" and it works to enhance your sun energy. When you have a lot of sun energy you don't get cold, you are energetic, expressive, extroverted and enthusiastic. The exercises in the class will systematically stimulate the positive pranic force and the kundalini energy itself.